He told THR that "[They are] not going to be back at all for Season 4... You can keep them on the show for six years and people will criticize you for not being realistic, or you can be really true to life and say when they started the show they were very clearly sophomores and they should graduate at the end of their senior year." Makes sense but will the show be the same without them? 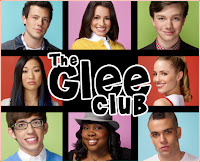 In the meantime fans of 'Glee' can enjoy watching all the cast members in the upcoming season 3 episodes. Are you a fan of 'Glee' and what do you think of the news that Lea, Cory and Chris will not be returning to the show? Leave a comment below. Oh no they are the best ones. Stupid tv producers! its gonna fail after they leave!